The training subjects provided meet their respective requirements of NFPA1033, 2014 edition. This conference is providing 8 tested hours of training. Testing will be done on CFItrainer.net, using a PIN number that will be provided at the end of the conference. 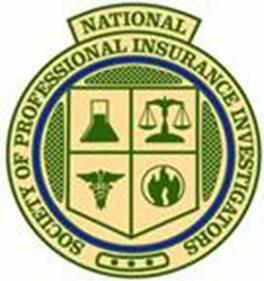 The focus of this class is to discuss the many complex issues and responsibilities insurance professionals face, either knowingly or unknowingly, during the course of the claim handling process. The initial steps during the basic claim handling process can be vital to both public and private investigators and their fire investigation. The content is geared towards all levels of experience and based on generally accepted insurance practices. We will discuss what NICB indicators “first-in” line unit adjusters can recognize that could initiate a Special Investigative Unit (SIU) investigation or the need for use of outside experts. Further, how claim adjusters can use the insurance policy as an investigative tool to help gather information to determine if a loss is meritorious. We will discuss the Property Loss Fire Act, which allows the sharing of information between the public and private sectors. Finally, the discussion will lead to how a fire loss can progress through the claim process to such areas as resolving NICB indicators, Examinations Under Oath (EUOs), denials and lawsuits. In the beginning stages of the investigation, questions always arise as to “what access to the scene must I provide”, “what is proper notice”, and “what evidence must be retained.” The beginning of this presentation will focus on how best to avoid claims of spoliation of evidence. During the course of the claims investigation process, all too often discovery is an afterthought. However, once the cause is determined and you move into litigation, attorneys cull through documents produced by insurers and their insureds like robots, identifying what is privileged and producing what is not. Like a game of cards, they have to play the hand they are dealt. The second part of the presentation will focus on ways to deal the best possible hand to your subrogation counsel. “Fire scenes, by their very nature, are dangerous places” (NFPA 921/14 13.1). There are a multitude of health and safety hazards that the insurance professional must be aware of when working at a fire scene. Some of the hazards are clearly evident but there are those, which are not so obvious or readily identifiable. This session provides an overview to hazards present at fire scenes including physical, structural, electrical, chemical, biological, mechanical and other hazards. Methods to safeguard yourself while working at a fire scene (including the use of appropriate personal protective equipment) will also be presented and discussed. This presentation will discuss the principles, practices and methods used by fire investigators to determine the origin and cause of fire incidents relating to insurance claims. Attendees will learn the importance of using the Scientific Method outlined in the National Fire Protection Association 921- Guide for Fire & Explosion Investigations and the NFPA 1033- Standard for Professional Qualifications for Fire Investigator. This presentation will educate attendees on the manner used in NFPA 921 / 1033 using fire dynamics, fire patterns, arc mapping and witness statements to determine the origin of the fire as well as properly determining classification of cause of the incident relating to the liability or responsibility in regards to insurance claims. At the conclusion of the classroom portion of the seminar two live fire demonstrations will be conducted with subject matter expert in Origin and Cause Investigations. Claim Representatives will be able to view the demonstration from ignition to extinguishment and be able to understand the process used by Fire Investigation experts to determine the origin and cause of fire related incidents. At the completion of the demonstration portion of the day, subject matter experts will be available to answer any questions the claim representative may have. Disclaimer: No liability is assumed by the IL-IAAI for changes in program content, speakers, or venue. The instructor’s presentation and content thereof is the responsibility of the individual instructor and not necessarily endorsed by any of the persons or organizations associated with this seminar. The IL-IAAI reserves the right to cancel, alter, or substitute any class or instructor without advanced notice.